Remote jobs like this one that recently popped up on LinkedIn used to be a job hunter’s utopia: a legendary tale, a need-to-be-seen-to-be-believed opportunity preached by keynote speakers and industry gurus, but rarely witnessed in the real world. But that was ten years ago. These days, many organizations have moved away from the traditional 9-to-5 office-based schedule, implementing flexible working policies for employees and contractors. And the benefits for both parties are significant and measurable: lower real estate costs and higher employee retention rates for the business, and more flexibility for staff. While supporting flexible working makes perfect business sense for most organizations, the hype around the telecommuting lifestyle, devoid of morning traffic and filled with cups of home-made coffee and comfortable fleeces, can make employees forget that it’s not for everyone. The findings of a recent survey suggest that over a quarter of remote workers experience feelings of isolation and miss being part of a (physical) team—factors that can negatively impact morale and motivation. So, are you cut for the telecommuting life? If you’re not sure whether you’d thrive away from the office, here is some food for thought. Over the last year, our company has rolled out a flexible working policy that allows most employees to work remotely one or two days per week, if they wish to do so. The new policy was enabled by a mix of existing technology, including video communication tools, a VPN, and our own remote access software, VNC Connect®. While everyone was happy to have the option of deciding how to manage their working hours (especially during flu season! ), not all of our employees have taken up the offer of working from home on a regular basis. While most team members made the most of this opportunity to set up a home workspace to work from once or twice per week, others decided to do so more sporadically, and some colleagues turned it down entirely, opting to be in the office full-time. This is because, like most things in life, one approach doesn’t fit all. 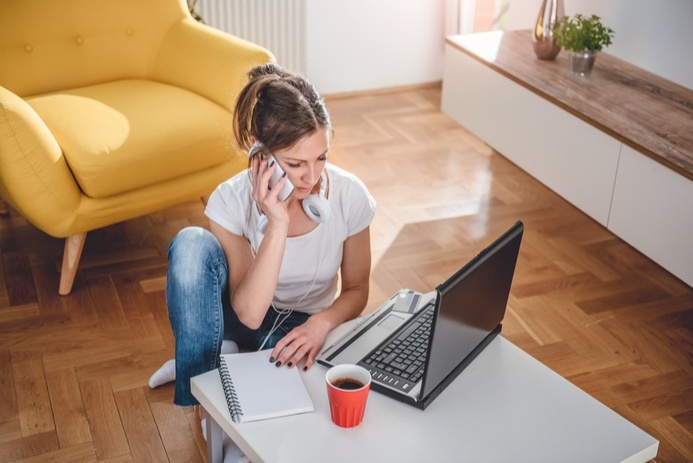 Some personalities are better suited to telecommuting than others, and although your mileage may vary, we found that those who thrive the most while working from home share some traits and preferences. If you are a person who is naturally motivated to work on their own without significant input or directions, you’ll probably thrive as a remote worker. If you crave company and are very team-oriented, or if you struggle for a reason to get out of bed and get dressed every morning unless you really have to, then you should probably resign to dealing with the daily commute. Remote working requires a great deal of discipline: when there’s nobody looking over your shoulder, the temptation to surrender to a little Facebook scrolling session, or to never get out of your pajamas after breakfast, can be particularly hard to resist. But you really shouldn’t, for the same reason why you wouldn’t show up at the office in your most ancient and discolored sweatpants: a messy environment and a lack of self-care can reflect on motivation and quality of performance. Having a tidy workspace, whether it’s your office desk or the one in your room, will help you be more organized, and dressing up in the morning as you would to go to your company headquarters will get you into the right frame of mind. For many employees, being allowed to manage their own projects away from their boss means that they are trusted and respected enough to be left to their own devices. Of course, not having your manager around doesn’t mean that you shouldn’t deliver the same level of performance they have learned to expect from you: defining clear goals for home workers is essential to make it a successful experience for both employee and employer. But if you are one of those who thrive with a little more freedom, and whose productivity skyrockets with a higher degree of autonomy, you may become a model remote working employee. Just make sure you compensate for the physical absence by regularly communicating with your colleagues, making the most of your remote access and video conferencing tools. Being in the office definitely has some perks. For example, here at the RealVNC headquarter we celebrate the end of the week with our traditional Cake Day, a nice social moment where everyone gathers in the communal kitchen, grabs one or three slices of cake (we have a different theme every Friday), and takes some time away from their desk to socialize with their colleagues. 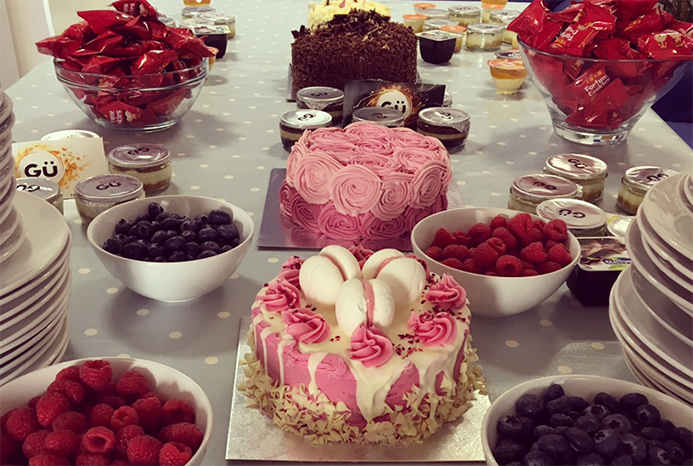 While the cakes are definitely an added bonus, some of us really crave the social side of being in an office and are extra motivated when we get the chance to connect and interact with our team in person. Not everyone has the same social needs though, and some naturally feel more at ease in a quieter atmosphere with minimal social interaction, especially if the alternative is hot desking or a noisy open-space environment rather than a private office. Even if they miss out on company-sponsored donuts. Sometimes, remote workers miss out on something more than baked goods: they’re overlooked for promotions. Being in the office for most of the week means that your boss and your team members get the chance to know you in a way that’s just not possible unless you’re all in the same room for extended periods of time. And the reality is that busy managers can easily underestimate how hard an employee is working when they can’t physically see what they’re doing, even when their performance is otherwise satisfactory. This means that, when the time for the yearly employee review comes, it might be a little harder for telecommuters to make their case for a promotion or a salary increase compared to office-based colleagues with a similar level of performance. Equally, home workers can miss out on important face-to-face interactions and connections that happen naturally among people sharing the same space. While none of these issues is necessarily a career deal-breaker, they are important factors that need to be evaluated when accepting a full-time home-based position. Of course, none of the considerations presented in this post matter if you are, say, a receptionist responsible for receiving guests and buzzing in delivery drivers, or a warehouse manager in charge of supervising an on-site team. Some roles naturally lend themselves to flexible and remote working arrangements, while others come with specific restrictions in terms of schedule and workspace. There are also jobs which require you to be physically in the office on days when you need to perform location-dependent tasks, but not all the time—for example, if you are an internal recruiter who has to be in the office to conduct face-to-face interviews. If you are at the beginning of your career and your goal is to be able to work from home permanently at some point in the future, you should investigate whether homeworking is a common practice among professionals in your industry before you commit to it. Remote working is not for everyone: while some employees will naturally thrive when given the opportunity to work from home, others might feel isolated and unmotivated. If you have the option of telecommuting, it’s important that you take the time to weigh the pros and cons to figure out which arrangement works better for you. If you’re not sure you whether you’re cut out for remote working, you can start by trying to work remotely one day at a time over several weeks to see how you feel about it, and to evaluate objectively how being away from the office reflects on your performance. One thing we’ll stick by is our belief that offering people the option to work from home can be extremely beneficial to both employers and staff, depending on the industry. While some employees may decide that telecommuting is not up their alley, they will be grateful for the opportunity, and happy to know that the option is there if their circumstances change.